Cooks don’t use the same sorts of dishes to heat food in a microwave as they do in a toaster oven or conventional oven. They wouldn’t choose identical cookware for a solar oven either. Solar cookware is specifically designed for use in situations where you are harnessing the sun’s power to bake, grill, or cook food. There are three types of cookers generally speaking which, when combined, create a fully functional kitchen. The box or oven cooker is like your regular oven; a parabolic cooker directs sunlight onto a cooking pot; and a panel cooker is similar but not as hot, though its panels are adaptable. These fold in various directions to capture the sun’s rays all day no matter the angle. A parabolic cooker adopts a shape and can be moved as a whole. Ovens are compared to slow cookers because they take a long time to heat up but, once hot, trap heat effectively. They’re best used for times when you don’t want to supervise cooking. The parabolic cooker acts quickly and requires constant supervision, but doesn’t need a lot of thermal heat; uninterrupted sunlight, however, is imperative. When it comes to cooking with sunlight, you always have to determine if what you really need is heat or light. Solar power is harnessed in two ways: either the light is being directed onto a surface as with the photovoltaic panels that create electricity, or the sun’s heat is what you are looking for, similar to insulated tubes for heating water. If you have a lot of time, then lots of heat is easier to ensure, to capture, and to maintain. Sunlight is trickier because you need unimpeded access to the rays themselves, not just an overall sunny day. Even if it’s 85°F outside and a sunny day with full blue skies, unless the sun is bearing down directly on a PV heating source, cooking isn’t going to take place. Now that you have a sense of what you will be cooking in, it’s important to realize that your cooking vessel plays an important role. Some types of metal and ceramics capture heat well and for a long time; others are highly inefficient. Certain materials will buckle under considerably hot temperatures; others fail to let in enough light. Select a type of cookware suitable for the food you are cooking and which sort of oven you are using, but almost anything in your current collection will probably be fine. Usually a sort of metal is recommended and some ceramics or pottery could be excellent too. Is your goal to set food cooking at 9 in the morning and come back at 6 for a meal of beans and rice? You will be using an insulated box oven to capture heat for a long time. Having chosen a place that gets very hot and stays that way, one can easily place a ceramic pot in this spot for many hours. It’s always best if you can leave it completely so add all the water and seasoning you will need right from the start. Don’t disturb this setup or remove the lid. Bread and other baking also cook beautifully in this kind of oven if you have time to wait for your cake or biscotti. Aluminum is considered an excellent reflective material for quick heating with direct sunlight as the source of heat. It doesn’t absorb heat as much as allows it through, but aluminum isn’t sturdy like iron or steel. Iron and steel, like ceramics, will retain heat better and heat slowly compared with aluminum. They aren’t as reflective but you still need to keep an eye on them. In most cases, experts recommend employing dark metals which are not very thick so they let the heat in quickly. You might not have all that much time; not on a day where clouds are variable. Your choices are to either work with what you already have or to buy specially constructed solar cookware from a specialty store. A lot of camp-related gear is already made from thin metal so as to be light and portable, but small dimensions are no good for a stew. Specially-made solar items are designed very specifically for their purpose so as to endure for years, to resist high temperatures but conduct heat efficiently, and to be food-safe as well. Outdoor adventure stores stock crock pots in several sizes, grill pans, and even baking sheets to supply the needs of the solar gourmet. Have you ever wanted to hire a private Jet? You can with JetSuite. Their firm has operated successfully for 7 years as a private operator; an alternative to charter flights. The company is now one of the biggest in America: 4th largest, thanks to their top-of-the-range jets. You can go anywhere or sign up for regularly scheduled, luxury flights. The range of planes at JetSuite includes a number of Phenom 100s and Edition CJ3 jets plus XL 30-seat Embraer 135 editions for bigger groups or simply to enjoy the latest in-air luxury. The objective at JetSuite has been to make air travel as wonderful as it can be, so they are never satisfied. Owners and designers are always tweaking to accommodate different interests, changing demands, and new ideas in air travel. The company is always trying to develop better jets while still making air travel of this kind a reality for a wider audience of consumers. Their fleet is more luxurious than charter planes, but prices are similar to those you would pay for flying with a familiar airline. If you have the disposable income to pay full price for regular flights that are full of stress and hassle, choose JetSuite instead and forgo the long line-ups, aggressive security checks, and waiting-area boredom. This is a new service offering comfortable scheduled travel plus all the features of a commercial flight and more. It is just as safe, maybe safer, and far more enjoyable. Flight attendants look after your needs as you recline in leather seats, legs out as they would be in a business-class seat on a regular airline. You won’t feel like a domestic animal anymore. Even head room has been extended so you can stand up and not get knocked out. If claustrophobia is what kept you away from flying before, that shouldn’t be a problem. Numbers of passengers are so small, everyone could get to know each other during their time in the air. Relaxing interior décor includes leather seats you could sleep in with more soundproofing as not to disturb your rest and gentle color choices. Wi-Fi is free, in-flight entertainment costs nothing extra, there are power outlets for every passenger, and you will be served refreshments free of charge. Those include gourmet nibbles, soft drinks, and alcohol. Get comfortable, as though you were sitting in an easy chair at home. Drift off to the sound of your favorite music or an audio book. JetSuite customers rent an entire jet and choose where they wish to go. JetSuiteX is a public service for small crowds who still want to skip the waiting times and hassle of commercial flight. This is where JetSuite manages to create lower-priced services so that almost anyone who can afford to fly will be able to choose a more comfortable way to go about it. JetSuiteX provides regular service on popular routes. Get in touch to find out what routes they offer and their schedule of flights. A private jet costs about $8,000 for every hour in use. That works out to under $300 per hour for each person if the seats are filled. There are 30 on an E135. A three-hour domestic flight would cost $24,000 or about $900 per person for the same model, but check costs for the Phenom and CJ3. It pays to get your friends involved and travel as a group. New jets are coming in 2017 but the existing line is already operating along oft-chosen routes. Their favored markets are Sacramento, Santa Barbara (both California) and Phoenix, Arizona. Carlsbad, CA will be part of their new route for the E-135 series. JetSuiteX serves passengers to the most common destinations such as Las Vegas, LA, San Francisco Bay, San Diego, San Jose, and Bozeman in Montana. Watch for more destinations as the company expands its jet fleet and pool of experience pilots, two per flight. How do you get started on your flight from California to another US city? Give JetSuite your Departure and Arrival locations, dates, and times. Provide legal names for all passengers with birthdates and how much luggage you expect to load for the flight in bag numbers and pounds. You will need to supply an email address for each passenger and a phone number. Payment is the last piece. At AccuScore, the team uses software and math to calculate the likely outcome of a game or an event. More is riding on the outcome than accolades for teams, political opponents, and other competitors in their respective fields and professions. Fans participate in games where predictions are important, such as fantasy leagues. Where betting is legal, a friendly wager is riding on who wins and not just who, but by how many points. Who scored the goals? AccuScore sports simulation provides data one can use to make a sensible prediction as to the likely outcome of a match. Perhaps the founder of AccuScore was playing fantasy football with his friends when the idea came to him: what if he, and they, could stop making random guesses? Or, imagine they no longer had to compile statistics in booklets and could refer to a model online. That would make life a lot less complicated and data would be available from any Wi-Fi connected device. Men take their sports very seriously and AccuScore helps them bring a measure of mathematical accuracy to fan activity and betting. Maybe the founder and his buddies tried a prototype and discovered that they were accurate much of the time; enough to believe their service could be marketable and profitable. I imagine that is how AccuScore became a real product that went live online. Guys started talking; one of them experimented with some IT; and the rest is history. This website simulates what is likely to happen on match day using an algorithm which incorporates past performance and factors such as weather, who the coach is, who is on the team, and the location of a game (home or away). Every game goes through calculations about 10,000 times. The program covers every major sport in the United States and world soccer’s top-ten leagues. Predict the game based on these calculations or use analytical data to go about it the old-fashioned way; using your own foresight and judgment. Rank hockey players against each other for an outcome which, though not guaranteed, is highly reliable. Use AccuScore to predict the next major election. Tuomas Kanervala, currently CEO, deals with management overall. He turns to the expertise of numerous individuals in order to develop this online product with the objective of entertaining sports fans, whether they love basketball, hockey, or football. His previous professional work included management and consultancy with a number of major firms. Eero Mäki-Esko, a minority shareholder on the board, offers advice regarding how to find data and create software. His decision-making skills are extremely useful as well as computer science knowledge and experience with Nokia. Riku Soininen is an AccuScore Partner/Advisor and co-founder of his own sports-related business, Global Sports Media. His technology degree places Soininen in a good position to understand the IT aspects of this job although he participates on other boards as well with various IT companies. Visit the FAQ section to determine if this really is a useful tool and one you would pay to subscribe to. Find out how to navigate and use data with some special tactics for making the very most of this site. Could this be the ideal Father’s Day present for dad, the guy who inspired your love of sports? When your and your friends get together with their fantasy league predictions, ready to see who had it right this weekend, you might be curious as to when AccuScore posts picks. How soon before the game do they state their final choices? Statistics about the score and player analysis is updated regularly as the season progresses and every game is predicted long before the whistle blows. Obviously, youwill want to view the last stated predictions before having to submit your choices for real to a bookie or whoever controls the money when you run a pool at work or with friends. Injuries, changes to team format, and other last-minute alterations might not play any part in predictions if they come too late, but if there is time they will be factored into data. Critical players hold the key to a win or a loss, however, so unless one of these individuals takes a hit he can’t recover from in time for match day, AccuScore predicts little change if any to the results they forecast. Right before kick-off, games are re-simulated until it’s no longer viable or ethical to do so. Once the ball is first played, no more changes will be made. AccuScore uses the metric system rather than dealing in currency which could become confusing with the number of countries involved. There are Canadian, Italian, English, and American teams on the various rosters, for instance. Imagine what confusion that would cause during the World Cup of Soccer. Instead of money, AccuScore uses “units” of out 100. Learn more by visiting the AccuScore website HERE. Membership Details: How much does AccuScore Cost? As a new member, you would be entitled to try the service for 7 days, for free. Then, following the 7-day trial, costs are either $69 US per month (or 65.00 EUR or 55.00 GBP) – billed every 31 days, or $349.00 US (or 310 EUR or 285 GBP) on the annual plan. Your membership with AccuScore shows information and results for every game in the MLB, NBA, NHL, and NFL plus Division 1A football and basketball. Add the English Premier League (what they refer to as “football” in the UK), Italian Serie A, German Bundesliga, and Spanish Primera Liga for a total of 1,446 games per season plus the UEFA Cup. Data starts with the regular season but continues to post-season games as well. Sometimes, the prompt reads “no pick” when the points are too close to choose. Again, you can sign up for a monthly or annual membership. ESPN Insider lacks full box scores and they don’t offer final scores either. AccuScore provides all the data which is an advantage of membership. Find out all of the details which contribute to the likely outcome and use them as-is or employ data to come up with an educated selection; the choice is yours. No results are guaranteed, but their algorithm gets the outcome right more often than virtually any human being. View the home page for an idea of what is available to members of this exciting service; the types of data that guys get excited discussing over a case of beer and a bowl of potato chips. Comments Off on Finally!! 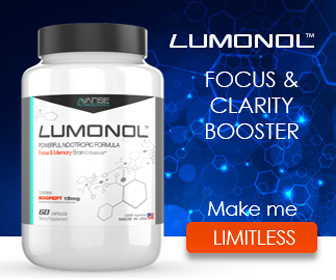 An IN DEPTH Lumonol Review: Our Lumonol Nootropic Experience! If you’re looking for a REAL user’s Lumonol review, from someone who has truly tried this brain enhancement supplement, you’ve found it. While we may also answer a few general questions you might have (like we had at first), we’re not going to go into the obvious stuff that you can get directly from their website, www.lumonol.com, since that would merely be restating what has been written probably a hundred times. If you read our introduction to how we were going to prepare a Lumonol review (here), or our general post about nootropics (here), you already know the basics. It’s been a few weeks since I began using Lumonol, and I’ve been keeping some notes on my experience! Are there any REAL Lumonol nootropic reviews? What are Lumonol’s Side Effects? Are there any Lumonol Coupon Codes? Is Lumonol Available on Amazon? I didn’t find too many, which is why we wanted to buy it and try it ourselves. And when it comes to brain enhancement supplement reviews to begin with, it seems like most of them are just re-phrasing stuff you can already find at the websites or webmd.com and similar sites. We talk about our own experience below, and this is also discussed at the company’s official website; however, in researching the various ingredients, we saw that in some cases someone might experience jitters or irregular heartbeat (my primary concern). Because of the powerhouse of various nootropic stacks in these types of brain supplements and formulas, I had some initial questions about potential side effects since the supplements do contain Guarana, which is a natural source of caffeine, and I have been sensitive to caffeine in the past. Why aren’t there any Free Trials? We haven’t seen too many; however, we are affiliates, and if the company was going to offer one – say, as a special promotion – we would be notified, and then we would put out a special post about it, which you would find HERE. Is Lumonol sold on Amazon or just their website? I know that some people educated as medical doctors and researchers might say that supplements of any kind aren’t proven. I’m not the type of person to only listen to naysayers. While I respect educated opinions, I also feel it’s important for me to keep an open mind. I’ve always been like this. And, I’ve always been one to personally seek out alternatives to prescription drugs when possible – again, this is my personal choice, and I’m not advising anyone to do as I do. Also, because most supplement companies can’t actually make any specific claims – you always see the disclaimer required by the FDA at the sites saying something like: “The statements made on this website have not been evaluated by the FDA. This product is not intended to diagnose, treat, cure, or prevent any disease.”– I wanted to study the subject matter a little bit more before buying it. So, because of my own personal bent, whenever I see certain members of the medical or scientific community categorically dismiss something, I tend to look a little deeper. Fortunately, Lumonol passed the muster for me. I found very little, if anything at all, for me to be concerned about in my personal situation. And, even when it comes to the Guarana, the source of caffeine in the supplement – there didn’t seem to be an overabundance of that anyway. I actually wound up looking up just about every ingredient in the blend, just to be sure I felt ok about taking something I’d never tried before. Like I said, my biggest concern was the Guarana, however, the entire “energy blend” is calculated at 430 mg per dose, and that includes the Guarana, Asian Ginseng, and the Hordenine HCL. Put it this way – I had to try something to help my focus and ability to concentrate. I absolutely love my work here at MyFavDeals, and there are so many amazing products to write about, so many videos to create, and so many deals to find and post. You should see my list of projects (and dreams) for this site! So, do I sound like someone who probably should have been diagnosed with some type of ADHD when I was a kid? The thing is, I did NOT want to get on some type of prescription drug. And that was pretty much what made me begin looking for some potential solutions. There are a few other nootropics that also look promising, especially for mental clarity and focus, and we promote them here as well. But for now, I really wanted to give Lumonol a try. By the way…Yes, I DO eat Veggies! Just in case one of my readers is involved in the health or nutrition field, I really do eat a lot of freshies and I exercise regularly these days, so I do take additional steps to improve my brain health. 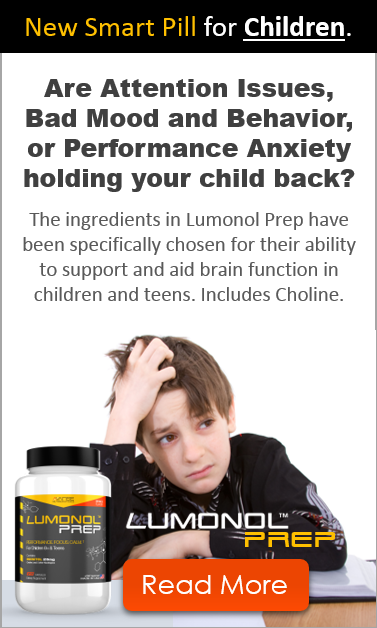 Let’s get on with our “official” Lumonol nootropics review! I asked Martin, my partner here at MyFavDeals.org what he thought too – and I’ll share his thoughts as well since he decided to try it too. Hopefully our discussion may help you if you are considering buying Lumonol for yourself! Kath: Personally, I felt that the website was very easy to navigate, and when looking at which product or bundle options were available, I was able to quickly decide what I wanted to try, and why. The layout of the “nootropic stacks” as they are often called, it was a simple task to look – almost at a glance – to see which effects I was primarily interested in. It took me almost no time to decide that a mix of the Lumonol Smart Drink and Capsules was going to be what I might find best for my situation. I like the mix of both! Martin: Oh yeah, the site was definitely easy to use. I’ve taken my share of brain supplements, and so I’ve seen a bunch of nootropics websites. One thing I want to point out is that I like how they stick to the product itself; in other words, it’s all about the supplement, and they don’t veer into swag or clothing. So, I could make the decision fast. Oh, and I chose just the tablets. Kath: I think the ONLY criticism I have with the ordering process in general was that when I was browsing, one of those “chat windows” popped up, with the text told me that if I used the coupon code “Agent8” and if I clicked a link in the box, I’d get a free bottle of their Luna nootropic sleep aid. So, I figured what the heck, right? But it didn’t work for me, and I tried it twice. No big deal since I don’t have trouble sleeping anyway, but that’s one thing that was confusing. In the end, I just ordered my capsules and the Lumonol Smart Drink, and the ordering process was easy. Martin: Haha! I must not have been on the site as long as you because I didn’t get that window! No biggie. I had no problem with ordering. One thing I want to point out that I think is a plus for them is that they take PayPal. Not everyone does, and I like paying for stuff with PayPal. Martin: I want to also add that I had my order within just a couple of days. Kath: Martin, I was concerned about jitters, but didn’t have ANY. Actually, I’m pleased to report that I haven’t had ANY negative issues since taking it! And I am quite sensitive to caffeine as I mentioned earlier. Of course I’ve been careful about how many tablets or “scoops” of the Lumonol Smart Drink that I have, and I’m also cognizant of how close together I take these doses. Martin: Yeah, I think that it’s smart to move slowly if you weren’t sure about the caffeine. Personally I didn’t notice any jitters or caffeine overload at all. I do drink my share of coffee, but this didn’t put me over any edge or anything. Kath: I’m still gonna go easy on dosage, because I did read that the caffeine in Guarana COULD cause irregular heartbeat, but so far so good. Again, it’s just something that I’ve noticed in the past when I’ve had too much coffee or tea. Kath: Yeah, I felt the same way. Ok… I guess we’ll move on to the next category then! Kath: One thing I noticed was that I have been recalling “little” things – like, I’ll tell John I’m going to do something small, like look something up for him later on, and later on, I’ve actually remembered to do it without being reminded. And, Martin, you mentioned something like a more “calm” feeling. That’s a good way of saying it. It’s almost a change in the manner of my thought process. Sometimes, my mind races, especially since I’m trying to write about so many different things. And I’m thinking about a dozen different projects at once. And, I’ve mentioned this to you before, where I cannot seem to sit still. Like, I’ll have a review to write, or a bunch of new coupon codes to list, and I just can’t seem to concentrate for a more than a few minutes at a time. Frankly, we have so much work to do on this site that I don’t have the luxury of adult ADD or whatever the heck it is that stops me from concentrating and focus. But, in the weeks since I’ve been taking the Lumonol – and I have been pretty much taking one capsule, and ½ scoop of the Smart Drink – I’ll be darned if I haven’t noticed an increase in my productivity. Martin: Haha! That’s awesome! You know though, remember that their downloaded PDF with the usage guidelines emphasizes “cycling” – taking it for 5 days, then NOT taking it for the next 2. Or, they also say that if you take it for 3 months to take a month off. And they also say that the benefits don’t seem to be permanent. So to me it would make sense to try the 5 days on – 2 days off cycle to see how that works. It’s only been a few weeks, so it’s a little soon to tell for sure. Kath: I’m glad you mentioned that PDF guide! I had been taking a tablet at lunch, and then ½ scoop of the Lumonol Smart Drink a little later. Like, within an hour or so. No afternoon slump either. Of course, eating well helps with that as well! But, I’m wondering now if I should have it a little earlier. I’ll experiment with that. One more thing I want to mention quickly is that Lumonol has a VERY good blog on the site. It’s chock-full of informational and educational posts and articles. Check out their Blog HERE. Martin: Also, we need to remind readers that it takes a while to kick in. In my personal experience Lumonol doesn’t kick in instantly – but I honestly didn’t expect it too. Kath: I actually felt “something” pretty quickly – but, no, not instantly though. I would have to say that even though it’s only been a few weeks, I can say that I HAVE been more productive. Martin: He he… that’s good for the site! Is Lumonol worth the money? Kath: So what do you think? Worth it? Martin: Oh, I think so because time is money. To use your own example, when we spend less time revisiting stuff or removing distractions, then obviously we get more done. Kath: Yeah, I look at the way we’re supposed to cycle the dosages. In my case, I bought the bottle of 60 Lumonol caps, and the Smart Drink which will EASILY last 2 months. Actually, it might last even a little more. So in my case I paid about $117 for a one-time purchase of both the capsules and Smart Drink. Even if it lasted me only 2 months, that would be $1.95 and probably less per day. Also, it depends on any Lumonol coupon codes of course, which might bring that to even less. Also, if you buy more than a one shot deal, you spend less. We feel that given the price and how long a bottle might last – especially if you were to buy more than a one months’ supply, Lumonol appears to be a well-balanced formula, and worth the cost. We did like the fact that there was a formulation for more than one segment of the population. For example, I did appreciate that they have the “Lumonol Wisdom” formula that targets a more senior population. One thing we scarcely mentioned was the “Lumonol Prep” formula that has been created for the youth age group from 8-years old to teenagers. And because neither of us have kids around we couldn’t try it out on anyone in our own families. Nonetheless, I appreciate that the Lumonol Prep does NOT have caffeine, and that is a good thing (in my opinion). Finally, I totally appreciate the powdered Lumonol Smart Drink, which made it very easy for me adjust my own dosages. I believe that this is an excellent addition to their product options. Ready to Try Lumonol for Yourself? Great! CLICK HERE!